Here's a guide on how to make quick money in Pokemon X and Y by lazernerd. This is an Elite 4 alternative, will take a maximum of 15 minutes and will earn you a minimum of 400,000 per hour. By increasing text, speed, turning off battle animations, using an Amulet Coin / Luck Insense and O-Powers, you can make over 1 million per hour! I will need to have beaten the Elite 4 to gain entry to this 3-star restaurant. There may also be a style requirement, but I am not positive. 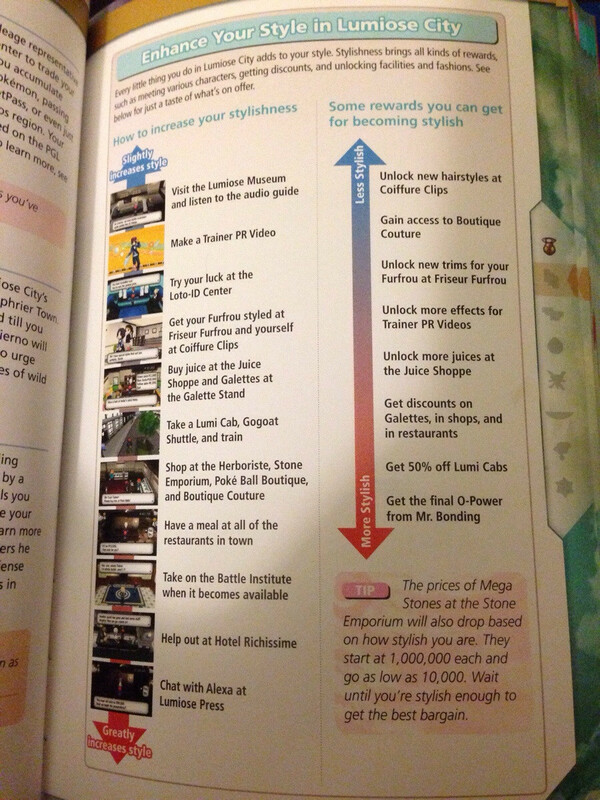 If there is, refer to this image on the various activities around Lumiose City that will increase your style. Flying is the quickest method. 3. Head to Restaurant Le Wow. I usually take a cab because Lumiose City is confusing, but walking is free if you know where to go. Be sure to bring 100k and two top tier Pokémon with you. This method works best at Restaurant Le Wow which has an initial dining fee of 100k. If you do not have 100k, then you can start with the smaller restaurants which follow a similar dine and fight style. 4. Tell the waitress you'd like to try the Double Battle Meal. The other meals will work, but may be a little slower. This is where you will pay them 100k. If you reach max style than restaurants will give you a 10% discount reducing the entry cost to 90k. Using your Prize Money O-Power right before you talk to the waitress will greatly increase your battle winnings. I also recommend using an Amulet Coin/Luck Incence on one of the two Pokémon that will be battling as those double your winnings and stack with the O-Powers. You will not be able to adjust your team once you pay, so prepare before you enter. You will fight five double battles in a row, but your Pokémon will be fully healed between each battle. If you beat each battle in the designated number of turns, you will receive twenty-five Balm Mushrooms as an additional reward. The number of mushrooms you receive will decrease the longer you take. Beating it too quickly will also reduce the number of mushrooms you receive. Head to the nearest Pokémon Center (exit the restaurant, head left down Hibernal Avenue, then left again down North Boulevard), and sell these for a whopping $6,250 each! Twenty-five Balm Mushrooms sell for $156,250. Thanks to Pimpkachu for the table. You can find the Amulet Coin in Parfum Palace on the second floor in the left most room by the fireplace. You can buy Luck Incence from the street vendor in Courmarine City for $9,600. 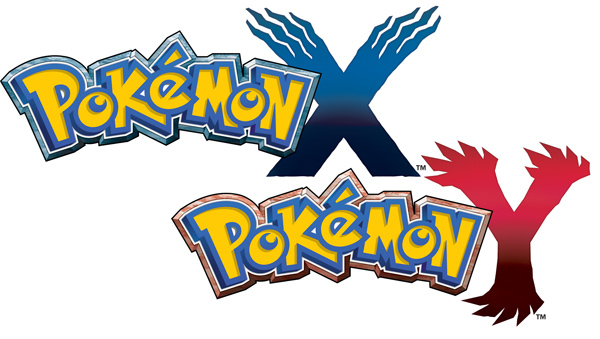 If you have any other hints, tips or tricks for earning money fast in Pokemon X and Y, please post them below. Thanks for your contributions and for visiting the site.